The spiritual food herein resembles that of the land of Canaan: abundant, varied and nourishing. Further, the bite-sized portions make it especially attractive to those who want a source of brief, but potent, spiritual refreshment in the midst of a busy schedule. On the other hand, those having more time will find sustenance with no lack of depth. The spiritual tone and content of the ministry coming from the pen of Mr. Bellett requires little comment. 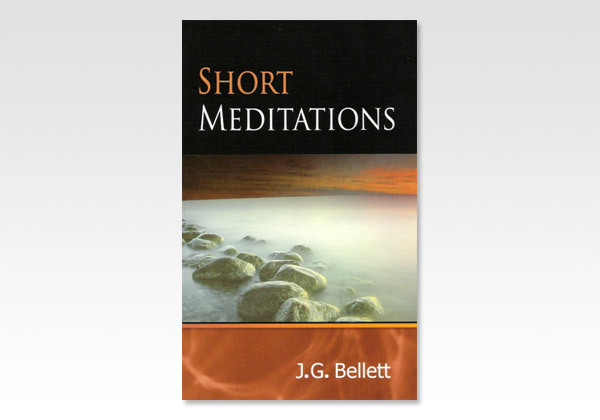 We highly recommend these heart-warming, Christ honouring Short Meditations to the prayerful reading of the people of God, assured that spiritual blessing will be the result.